One of the special things about the Super Flighter is how much of the production appears to be have been done by hand. Of course most of the manufacture was done by machine such as carving of the wood and routing etc, but you can often see some interesting variations in paint work which naturally leads to the assumption that some, if not all spraying was done by hand. A good example of this is the back of the neck on the sunburst SF700. On some models there is a patch over the volute which is sprayed to the darker colour of the body’s sunburst, whereas on some the entire back of the neck remains a paler colour. Perhaps this is due to difference manufacturing processes and paint designs from year to year, but either way it points to a lot of attention being paid to the appearance of these guitars, as well as the general construction. The hardware of a Super Flighter is interesting to some, as a lot of it is almost as standard to other guitars at the time but some was very innovative – all hardware was the same across the range, with the exception of a gold finish for the SF1000. Every Super Flighter featured the same “tulip” style tuners with “Yamaha” stamped on the back; a nice touch was that these are all made of metal, rather than the plastic typically used on Gibson’s Les Paul and SG guitars. Similarly to a Les Paul, the Super Flighter was fitted with an almost standard looking “tune-o-matic” bridge and stop-bar tailpiece. The only real difference is the shape of the bridge itself being a little fatter than what you might expect to see. The strap-buttons fitted to a Super Flighter are often changed by owners or refitted with the addition of a felt-washer, as they were original screwed straight to the body with no padding which many people found undesirable. A particularly unusual piece of hardware on the Super Flighter was the three-point-adjustment pickup frame. 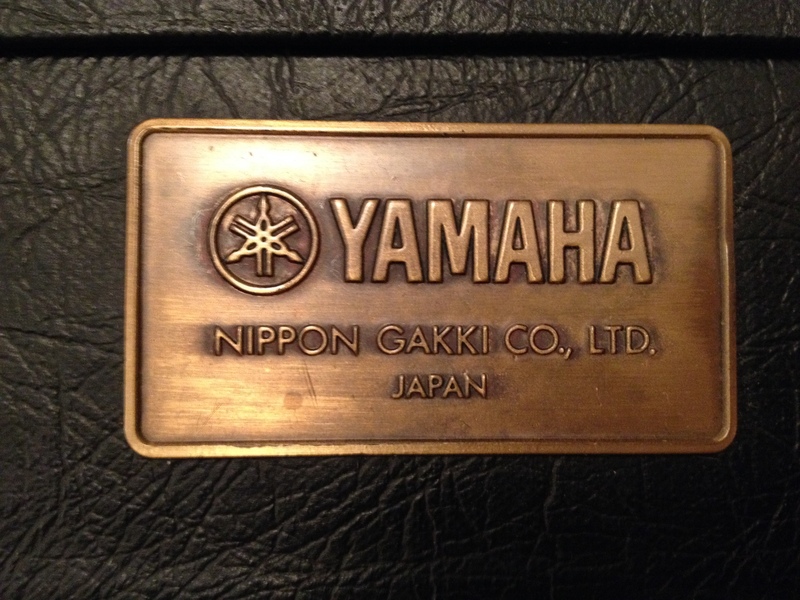 Although many might argue whether or not it’s really worthwhile, Yamaha proved how committed they were to great tone by allowing the customer to really fine tune the position of the pickup. It may have been more desirable to have added a second adjustment point to the treble side of the pickup as well as the bass side, but it’s still an unusual and innovative move from Yamaha!